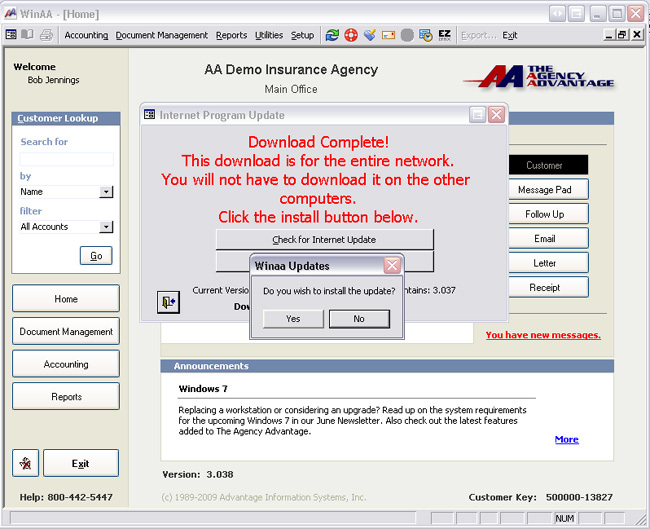 Twice a year we require our customers to download and install a program update. The first update is in February and the second update is in August. The update must be installed on all of the computers using the software. 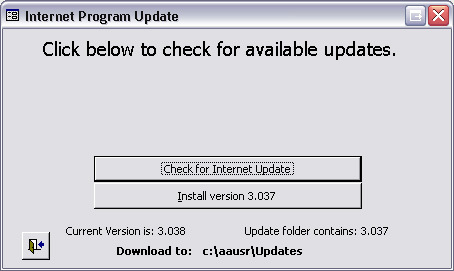 You will know that it is time to update your program when you start seeing the message below. The red square indicates the cut off date. This date changes every update and it is very important to download and install the update BEFORE this cutoff date. The reason we require our customers to update their software twice a year is to ensure that they have the latest features, improvements, and any bug fixes. 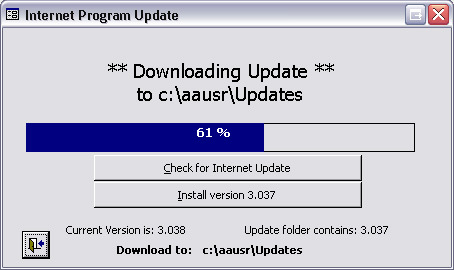 To download the update: From the toolbar at the top, click Utilities and then choose Internet Update. From the next window you'll need to Check for Internet Updates. 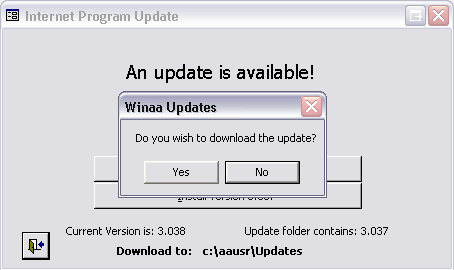 Do you wish to download the update? Choose Yes. Next, the update will begin downloading. When it finishes downloading, you will need to install it. It is important at this time to have WinAA closed on the rest of the workstations in the office. If all users are logged out, choose Yes. After WinAA has completed the update on this computer, it is now time to move on to the next computer in the office. 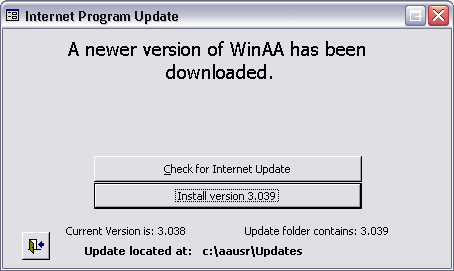 Once again, WinAA needs to stay closed on all of the computers except the one you are installing the update on. When you login to AA on another workstation, you will get a message asking if you want to install the new version. If you do not receive this message when you login, go to the toolbar at the top, click on Utilities and Internet Update. Click on Install version 3.0xx. You will need to do this on each computer. Remember to do them one at a time.